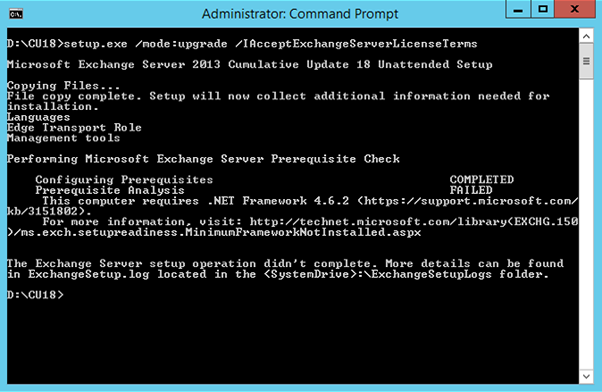 Customer is running Exchange 2013 with approx. 2500 mailboxes. When looking at calendars and sharing information through the availability service only the availability (free, busy or tentative) is shown. No details are shown by default. 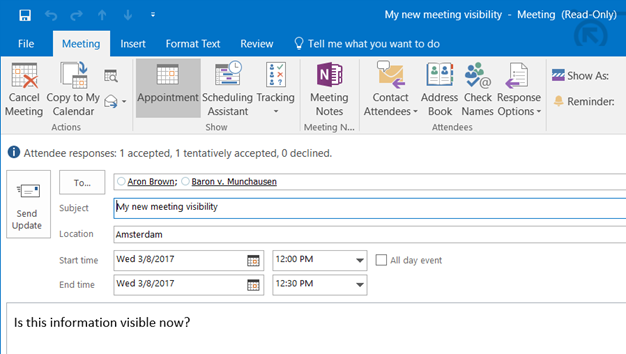 Customer now request to publish more information so that users that want to schedule a meeting can see the details of other user’s appointments. This should not only be configured for existing users, but new users should receive this setting directly when provisioned. Note. Check the Set-MailboxFolderPermission article on Microsoft TechNet for all details regarding the permissions that can be assigned.